Here you can find a list of frequently asked questions and answers. If your question is not in the list, you can ask it using the search option or by filling in the feedback form on the PAGE. How the Mandala Dance was created? Why is it called like that? 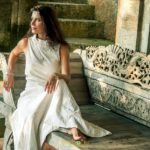 During 15 years spent in practices and meditations, I was searching the way to connect with the female nature. Also I was dancing for 6 years all different kinds of dances and was looking for a dance that would unite different states and the spiritual aspect. I couldn’t find it in the outside world and I began to explore my soul memory. Through tantric meditation there was opened a lot of memory of what I once had known and had danced. This process of channeling the practice into the world, to realize and to understand how to pass it on took about 2 years. To do this, I got up every morning and danced, recalling this ancient knowledge and making it a system and forming a structure. The name Mandala reflects the sacred geometry of our body and the sacred geometry of the universal Mandala. Women stand in a circle, and they dance the sacred geometry of the dance pattern. If you look from above, it reflects the picture of the mandala. The Mandala has a lot of levels: the level of energy, the level of body and consciousness. Through the dance we harmonize all of our states in accordance with the Divine order. We tune into the Universe and connect with our Higher self. Why does a woman need Mandala Dance? Mandala helps a woman to heal the body, consciousness and energy, helps to reveal her primordial nature, to understand who she is, what her life purpose is and how it is possible to shape the life through clarity, dancing all levels of life. What happens during the dance and how can a woman feel it? Mandala Dance has a positive effect on the body, emotions, feelings and thoughts. Through the dance we unite all our states, we acknowledge them and we heal and transform them into the wisdom. Our presence and our quality of life change. Women unite with each other, recalling how to be together, how to share, how to be open, how to live in love with everything that surrounds them. What makes it so miraculous? When a woman returns to her original nature, she connects with the Mother Earth, with her body, with her soul; she creates life in a beauty and harmony. And she radiates it into the space, she glows with wisdom and it endlessly attracts all living beings. She becomes an awaken woman who understands herself, her destiny, and she becomes the one who creates the worlds. What makes the Mandala Dance so different from other female practices? I haven't seen much female practices in the world. What are the stages of mastering the dance? Mandala is divided into stages, levels of mastering the art of the dance. First, women attend the workshop "Birth", where we give basic practices that help to raise our consciousness in different levels of life. Then they do Mandala Dance, level 1 certification workshop. After that, there given time for personal practice for at least 1 year. Then women can move on to the 2nd level of the Dance. It is also important to do the workshop "Blossoming", where we give deep transmissions of different practices. After that again there is a personal practice for 1 year, when women live real experience observing how the practice works in life at all levels. At the 3rd level of Mandala Dance women will pass exams like in all ancient traditions of yoga and other ancient mystery schools. Women have an opportunity to continue training using video course, but if they want to be Mandala Dance instructors, who are deeply immersed into the knowledge of the Dance, the practice must be passed on by me personally. How does the dance training look? The dance training takes place in the form of a workshop, which lasts 6-7 days. For dancing you should have a long skirt, jewelry and clear intention. For how long is the Mandala dance certificate valid? The certificate is valid for 1 year. After the issuance of level 1 certificate, the instructors are given 3 months for a personal practice and then the instructors get the right to conduct classes of Mandala dance. The list of certified instructors can be found on our website, following the link. How to become a Mandala Dance instructor? To do all the workshops mentioned above and to receive the appropriate level of the certificates. What feedback do you hear from the participants, what stories do they tell about the impact of the dance on their lives? Every day I receive letters with gratitude with amazingly beautiful stories of women about how their lives, all spheres of life including health, relationships, internal processes and social circumstances have been changed. Those women who come again in a year or more change externally and internally. They become happier, more rooted in their nature, they manifest many new projects. They are even more motivated to share the Dance, the practices and knowledge that Tanit and I pass on. How to make an advance payment for the workshop? Prepayment for the workshop in the amount of 30% is made 3-2 weeks before the workshop by Bank transfer. The Deposit is non-refundable. If, for some reason, after making an advance payment, you can not attend the workshop, it can be transferred to other workshops with Maya. Prepayment is a guarantee of your participation in the workshop, as well as respect for the Master's time planning. What is the duration of one workshop? The workshop lasts 6-7 days. What to bring for the workshop? You need a long skirt, jewelry and clear intention.